Visit any of our Anne Arundel Dermatology locations to purchase products. Not sure which products to add to your regimen? Schedule a skincare consultation with one of our trained clinicians online or call 443-351-3376. 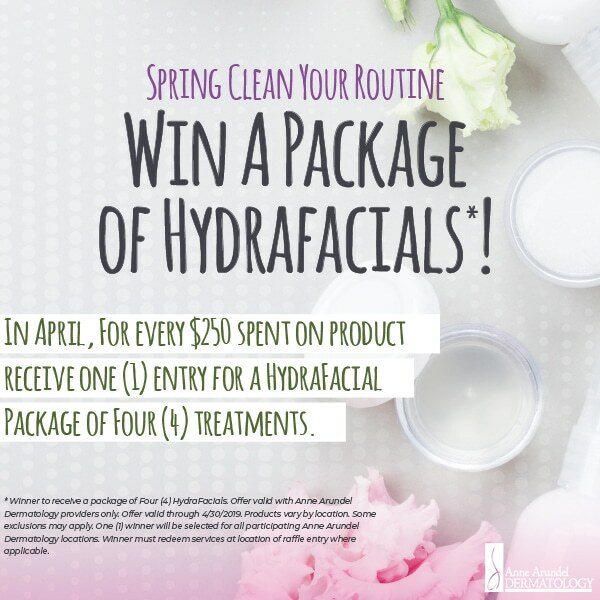 This entry was posted in Cosmetic Dermatology, General News, Skin Care Promotions and Specials and tagged contest, cosmetics, products, spring cleaning. Bookmark the permalink.